Christian Daniel Guevara, a 21-year-old Latino male, died Saturday, March 2, after being shot in Burbank, according to Los Angeles County Medical Examiner-Coroner's records. James Richard Kagaoan Rey, a 36-year-old Filipino man, died Tuesday, June 19, after he was stabbed inside a restaurant at 545 North Victory Blvd. in Burbank, according to Los Angeles County coroner's records. Rey, also known as James Rey Richard Kagaoan, walked into a crowded Burger King restaurant around 11 a.m. and began assaulting a 73-year-old man who was having coffee with two friends, said Sgt. Derek Green, Burbank Police spokesman. "Some witnesses said he [Rey] was yelling things, but nobody could understand what he was saying," Green said. "He immediately approached the victim and began stabbing him with a fixed-blade knife. It appears to be a completely random act." That's when a bystander, identified only as an African American man, "basically engaged in a fight with the suspect, trying to disarm him of his knife," Green said. 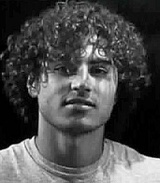 Lucas Josh Amiama, a 23-year-old white male, died Tuesday, April 17, after being shot in Burbank, according to Los Angeles County coroner's records. 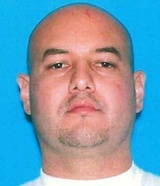 Marco Cardoza, a 41-year-old Latino, was shot and killed by South Pasadena police on Thursday, June 29, in the 1400 block of Broadway in Burbank, according to Los Angeles County coroner’s records. About 8:30 a.m., two South Pasadena police officers went to a home in Burbank to serve a warrant to a woman, said Lt. Claudio Losacco, a spokesman for the Burbank Police Department. While there, officers encountered Cardoza at the residence. Sometime during the interaction, Cardoza pointed what appeared to be a handgun at officers, and police opened fire, Losacco said. Cardoza was pronounced dead at the scene at 8:42 a.m., according to coroner’s records. Investigators later determined the gun Cardoza had was a replica. According to Losacco, the detectives were in the area conducting an identity-theft investigation. “The investigators knew they may encounter the now-deceased man at the home,” he said. Thomas Wayne Binkley, a 66-year-old white male, died Tuesday, Oct. 4, in Burbank, according to Los Angeles County coroner's records. Brandi Carrasco, a 35-year-old Latina, was stabbed to death Sunday, Aug. 23, in the 1900 block of Richard Street in Burbank, according to authorities. Carrasco was found dead in the bedroom of a home where she had been staying with her boyfriend and other acquaintances, Burbank police investigators told The Times. She was pronounced dead at the scene at 10:11 p.m., according to Los Angeles County coroner’s records. Carrasco’s boyfriend, Timothy Aguilar Andrade, a 28-year-old Latino from Hesperia, was arrested on suspicion of murder on Tuesday. The Los Angeles County district attorney’s office charged him with one count of murder while using a knife on Thursday. Sergio Alexander Navas, a 36-year-old Latino, died March 5 after being shot by police in Burbank, according to Los Angeles County coroner's records. Navas, of North Hollywood, led police on a chase and, while behind the wheel of a stolen car, was shot by an officer with the Los Angeles Police Department before 2 a.m., police said. Two LAPD officers were on patrol in a marked SUV and noticed the driver of a gold Mercury Sable with temporary paper license plates driving erratically on Magnolia Boulevard near Riverton Avenue in North Hollywood, police said. Police didn’t learn the car was stolen until later. The officers attempted to make a traffic stop, but Navas sped away, police said, soon crossing the city boundary into Burbank. After a chase of about six minutes, Navas turned onto National Avenue, a short residential street that ends in a cul-de-sac. Rear of: 4000 W. Victory Blvd. Maria Huezo Diaz, a 77-year-old Latina, was found dead Monday, Jan. 20, near the 4000 block of West Victory Boulevard in Burbank, according to Los Angeles County coroner's records. Huezo Diaz's body was found wrapped in a blanket in an alley behind her Burbank apartment. An autopsy showed that Huezo Diaz died from a lack of oxygen because of neck and chest compression, said Ed Winter, a spokesman with the coroner’s office. Her 40-year-old son, Moises Diaz, was arrested Jan. 20 in connection with the killing. Moises Diaz, who shared the Burbank apartment with his mother, was charged with one count of murder on Jan. 22, according to a Los Angeles County district attorney's news release. On Jan. 23 he pleaded not guilty. Diaz is being held on $1-million bail and expected back in court on April 29. Violet Wojcik, a white female, died Friday, Nov. 9, after sustaining blunt force trauma in Burbank, according to Los Angeles County coroner's records. Antwan Haroun, a 43-year-old man, was shot and killed Friday, Oct. 12, in the 700 block of East Providencia Avenue in Burbank, according to Los Angeles County coroner's records. Burbank police say they received multiple calls about gunshots just before 11 p.m. on Thursday, Oct. 11. When they arrived at the scene, they discovered Haroun shot and lying on the floor of an apartment complex, across the street from Joaquin Miller Elementary School. Haroun was transported to County USC Medical Center, where we was pronounced dead at 12:03 a.m.
Burbank police have yet to identify a suspect or motive for the shooting. Anyone with information about the killing is asked to contact Det. Lamoureaux at (818) 238-3246. Those wishing to remain anonymous can contact Crime Stoppers at (800) 222-8477. Dorothy McGuire, a 37-year-old white woman, was found dead Friday, March 2, in the 500 block of North Sparks Avenue in Burbank, according to the Los Angeles Police Department. Burbank police responded to a report of an unresponsive woman, later identified as McGuire, inside a parked car in the driveway of a residence about 7 p.m., according to an LAPD news release. McGuire's friend had called police after the victim failed to return home after a night out. Burbank police contacted the LAPD after determining that McGuire may have died in the LAPD's Foothill Division. Foothill detectives took over the case and obtained a warrant to search the house and car where McGuire's body was found. According to coroner’s records, McGuire died from mechanical strangulation. Investigators believe she was killed at a site near La Tuna Canyon Road and the 210 Freeway. Aaron Justus Bridges, a 40-year-old Latino male, died Tuesday, March 15, after sustaining blunt force trauma in Burbank, according to Los Angeles County coroner's records. Posted Feb. 25, 2009, 12:30 a.m.
Jasmine Voskanian, 49-year-old white woman, was shot on Wednesday, Feb. 25, 2009, at her home in the 4200 block of Jacaranda Avenue in Burbank, according to coroner's records. Voskanian was shot around 12:20 a.m. and police have arrested and charged two men: Armen Mangasaryan, 29, and Arpiar Tergalstanyan, 20. Voskanian had failed to repay a debt, according to police, who said the suspects are connected to her in some way. Burbank police said Voskanian and her home were specifically targeted in the shooting. Police took a black Mercedes and a handgun from the scene. Anyone with more information is asked to call Lt. Ron Caruso or Det. Chris Robarts at (818) 238-3241.